Dalby Pilates shop NOW LIVE!! I am super excited to be offering a collection of hand selected health and wellness products which will help you to feel amazing wherever you are! Over the years, clients have been hounding me about getting hold of the ‘spiky balls’ (Franklin Balls) I use in classes and personal training sessions. After careful consideration, I have chosen a small collection of ‘tools’ which me (and my clients!) cannot do without. 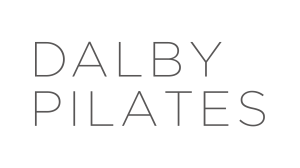 My clients know them well, and now you too can experience the freedom of movement and relaxation from a Dalby Pilates class. The only things we sell are what I myself use and highly recommend. Where possible, the products are made ethically and responsibly so not just good for you, but good for others and the environment too. Over the next few weeks we will be introducing you to the brands which we have taken on board and the products which we know will help to melt away tension in the body and leave you feeling literally amazing. There are also a few items which we are proud to have been created exclusively for the Dalby Pilates shop. We hope you enjoy mooching around the site and if you have any questions please get in touch via info@dalbypilatesshop.com. Over the coming weeks, the Dalby Pilates shop blog will be introducing the brands and methods I endorse. Some of these products will transform how your body feels and functions on a daily basis (no exaggeration)!